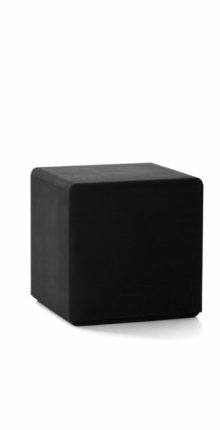 The White Cube purifies and freshens the air of any small space, be it a closet, a refrigerator or even a car. Made from powdered and compressed White Charcoal, it adsorbs gases, pollutants and odors from the air, without the use of chemicals or perfume. To purify and deodorize the air in any small space: Unwrap your KURO CUBE and place it directly inside the space that you want to keep fresh and odor-free, such as your fridge, closets, drawers, shoe cupboard or car. To keep your cube optimally effective, occasionally expose it to direct sunlight and leave it to dry out completely. Your KURO CUBE will remain fully active for one year. Once you've finished using it, nature will gladly take it back. An excellent fertilizer, just crush it and mix with potting soil where it will add nourishment and regulate the PH balance.